The EFI kits are designed for use with engines that are basically stock. A stock fuel pump should be adequate, however many pumps decline performance over the years and it is important to have a fuel pump that meets NEW specs. Use only premium grade pump gasoline (92+ octane) or unleaded racing fuel. In many instances, a high output ignition and free-flowing exhaust system may benefit performance. Do not use aftermarket chips or other devices that advance ignition timing, as detonation may occur. You've asked for it, now NOS has it! 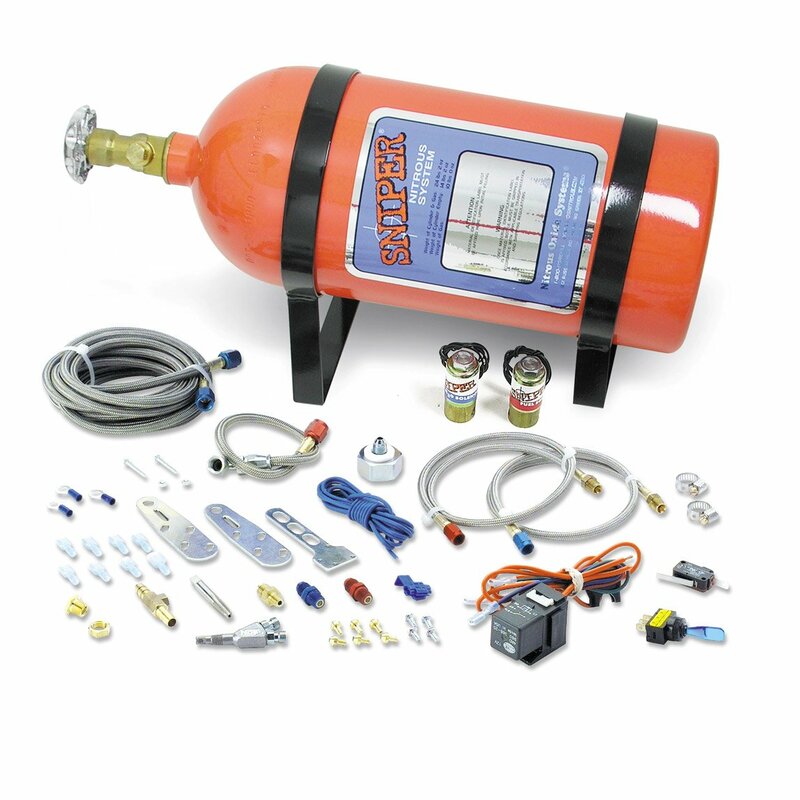 NOS is pleased to announce its new 8 cylinder Multi-Fit Sniper Wet EFI nitrous kits. A great complement to NOS's cutting-edge nitrous kits, the Multi-Fit Sniper EFI kits are great for the budget minded builder that want the power nitrous is famous for. And, since it's made by NOS, the Sniper kits benefit from the experience of a proven Nitrous company that our customers demand. Each kit comes with all components necessary for a simple installation. "Wet" type kits are offered for most turbocharged and supercharged applications due to the increased air velocity and extra heat from the forced induction. Industry-leading instruction manual gets you out of the garage and stalking the streets in the least amount of time! Competition-crushing features at a low price!